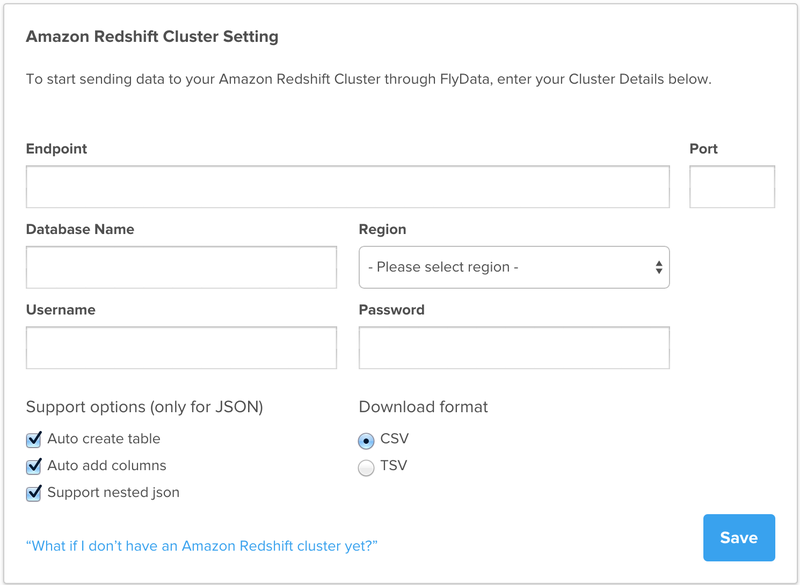 To enter your Amazon Redshift information related to FlyData, first sign into FlyData, using your login for the FlyData site. Then go to the settings page. Set up your S3 bucket by inputting name in the field. Because Redshift information can be imported through S3, we require you to also register your S3 bucket. Register your Redshift cluster using the information you input to create your cluster previously. The endpoint is the same endpoint from Step 2.7.